In recent past we have come across several sci-fi movies and viewers have started loving this genre, right from the Star Wars days. A sci-fi movie, typically, is a blend of action, adventure and fantasy. However, the key element of surprise for viewers of all genres when it comes to sci-fi movies is the concept or idea. In a sci-fi movie we are able to see mesmerizing characters, worlds and universe. Today, in Showbiz, we are going to showcase a pre-production Sci-fi film named Planets in Peril. 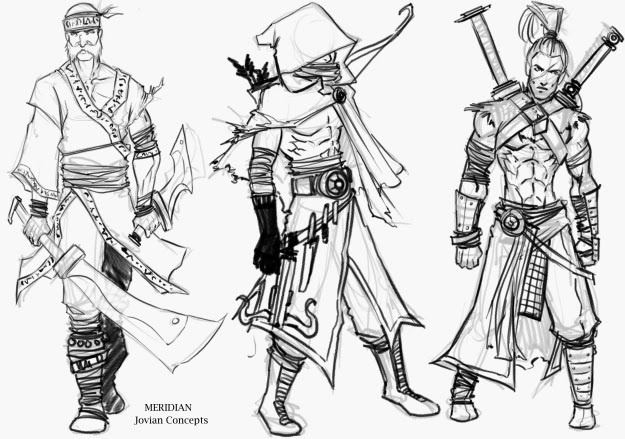 The characters in the movie are depicted based on Jovian warriors. “Jovian” symbolizes people who fight against miscreants that threaten their society. 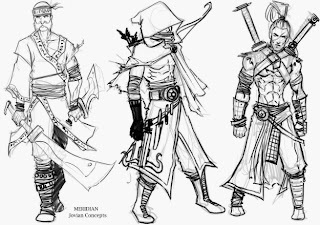 The Jovian warriors are unique in their style, costumes and weapons when compared to other sci-fi characters. They possess magical abilities which add to the fantasy in the story. The warriors are courageous, brilliant and determined to achieve greatness. In pre-production, there were interesting sketches created of the characters for this story. The Aurora Slade sketches were great with likes of many artists showing their skills. The pivotal role in the story is played by Supremacy shock troopers. The sketches of imperial storm troopers have indeed brought the characters to life. Conceptual art plays a vital role in bring life to the characters and story of the movie. Check out these sketches on conceptual art and characters. We will feature more of this epic sci-fi film in the making, watch out this space on Showbiz blog!